Petina Gappah’s An Elegy for Easterly caused quite a stir when it was published back in 2009. Lots of rave reviews, then it won the Guardian First Book Award, but aside from commissioning a review for the magazine I was working on I ignored it. Short stories, you see. More fool me, if The Book of Memory is anything to go by. Within the first brief paragraph, Gappah manages to hook you with both a grisly death and the announcement that our narrator was sold to a strange man by her parents. Memory is an albino black Zimbabwean on death row for the murder of Lloyd, the white man she went to live with when she was nine years old. She’s writing her story for an American journalist known for championing miscarriages of justice. Teased and shunned as a child, she listens inside her ramshackle home while the other children play their games, her skin too sensitive for the fierce sun. Hers is a family struck by tragedy leaving her mother unpredictable in her grief and Memory haunted by nightmares. When she’s asked to dress in her best clothes, she’s filled with joy then astonished when she’s introduced to a white man who hands a wad of cash to her mother. The following day she’s taken to his home, a beautiful old colonial house. She yearns to see her father again, but becomes used to the trappings of this new life shrugging off the racist rants of Lloyd’s brother-in-law and becoming immersed in books, still puzzling over why Lloyd has bought her from her parents and why they gave her up. 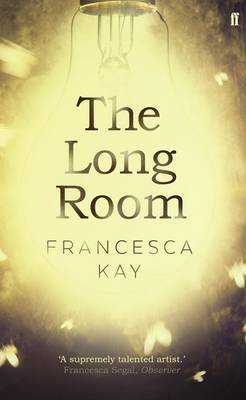 Escaping the fallout of estrangement and betrayal from her first infatuation, she wins a scholarship to Cambridge. On her return all seems healed between her and Lloyd then one day she comes home to find him dead. Writing her story from her cell, she dredges her memory for answers to questions that have troubled her for years. Towards the end the whole sorry tale of what befell her parents and how she came into Lloyd’s care is unravelled. Gappah teases out the threads of Memory’s past, slowly revealing her story, warning us that ‘It’s hard for the truth to emerge clearly from a twenty-year fog of distant memory’ then delivering a devastating denouement. Within the framework of Memory’s gripping story, a multitude of well-aimed barbs are shot at modern Zimbabwe. White society clings to its old colonial ways holding their June garden parties in the midst of the Zimbabwean winter. The superstitions of black culture which shuns Memory for her difference and brings misery upon her poor mother are lampooned. The corruption of the country’s political establishment unable to acknowledge the dire state of its prison is graphically conveyed in Gappah’s vivid word pictures. All this served up with a helping of acerbic humour in the form of prison banter and Memory’s acidic wit. It’s a very impressive first novel but not one likely to be published in her native country. 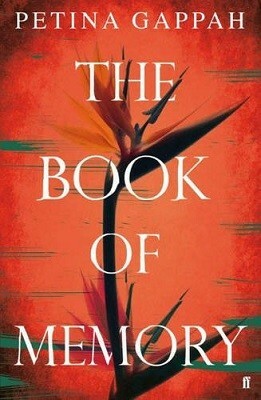 This entry was posted in Reviews and tagged An Elegy for Easterly, Faber & Faber, Guardian First Book Award, Petina Grappah, The Book of Memory, Zimbabwean fiction on 2 October 2015 by Susan Osborne. I have to confess that I didn’t get on with The Whole Wide Beauty, Emily Woof’s first novel. It was lauded to the skies by all and sundry but I gave it up so you may be surprised to hear that I was eager to give her second a try but its premise is particularly appealing. The bare bones are this: girl from one side of the tracks – comfy, middle-class, leftie activist parents – meets boy from the other side – council estate, working-class, Thatcherite mum and dad – they fall in love, the girl heads off to India, the boy to Oxford and then we see what happens, following them into their thirties. I find this structure a particularly attractive one: lots of lovely space for character development. So I pushed my reservations aside and was very pleased to have done so. We start with Ursula lying in her pram looking delightedly up at a tree whose branches wave against the sky. Her mother’s inside, head in a pile of CND leaflets – a cause for which she has a passion. Only when she hears Ursula’s shrieks and spots a crow with its beak in her pram does Joyce pay attention. We follow Ursula through her childhood, standing on her head for hours in front of the TV, listening to her grandmother Mary’s litany of complaint, waking from nightmares of a nuclear holocaust, until aged fourteen she visits the hairdresser for an ill-advised perm (this is the ‘80s) and meets Jerry the trainee’s brother, precociously intelligent and the youngest member of Newcastle’s Literary and Philosophical Society. The narrative shifts back and forth between these two following them through their passionate teenage years until their paths fork, one leading to India from which Ursula returns deeply changed, and one to Oxford, where Jerry’s politics, background and sharp intellect mark him out. Into this are woven Mary’s memories of her past which become increasingly more real than her present. Right from the start Woof tells her readers that this is a book about love, but it’s also about the lack of it which has blighted Mary’s life. Woof’s style is immensely engaging. Funny, a little eccentric, it reminded me of the early Kate Atkinson novels while the structure has a touch of David Nicholls with a hefty dash of sassy wit and political savvy. Ursula and Jerry are well drawn, nicely rounded, sharply tugging at your heartstrings and making you root for them. The connection between Ursula’s epiphany and her great-grandmother’s which led to so much misery for Mary seemed a little strained to me but that’s a small quibble in what is a thoroughly absorbing and entertaining novel, the kind you can happily polish off in one sitting. It might be time to take a second look at Woof’s first novel. 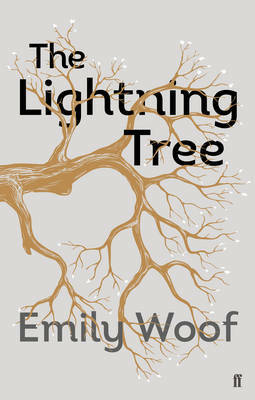 This entry was posted in Reviews and tagged Contemporary British Fiction, Emily Woof, Faber & Faber, Newcastle, The Lightning Tree on 21 January 2015 by Susan Osborne. I tend to buy new books in bookshops and backlist online, partly because it’s become more and more difficult to track down less popular titles that have been published for a little while on the High Street. 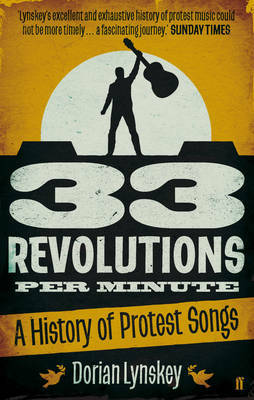 One such, Dorian Lynskey’s history of protest songs – cleverly called 33 Revolutions per Minute – had been sitting on my wish list for around two years. About time to buy it or strike it off, I thought, adding it to my order. When it arrived I was dismayed to find it weighed in at a chunky 843 pages, although it has to be said that the epilogue ends on page 685. It’s not that it isn’t a good book – the bits I’ve read so far have been interesting – but its length is intimidating and I would have thought twice if I’d picked it up in a bookshop. It opens with Strange Fruit – I’d already read a whole book on that, my fault not Lynskey’s, you can’t have a book on protest songs without Billie Holliday’s chilling classic – and ends with Green Day’s American Idiot. I’m on Crosby, Stills, Nash and Young’s Ohio, taking it steadily, one day at a time – well, more like a couple a week. It’s not my first online surprise, and I’m sure it won’t be the last – only the other day I had to wrestle a 935 gram jar of olives into the fridge, part of a hasty supermarket order. Please, make me feel better – tell me about your little online surprises. This entry was posted in Random thoughts, Reviews and tagged 33 Revolutions per Minute, American Idiot, Books, Dorian Lynskey, Faber & Faber, History of Protest Songs, Social History, Strange Fruit on 2 June 2014 by Susan Osborne.